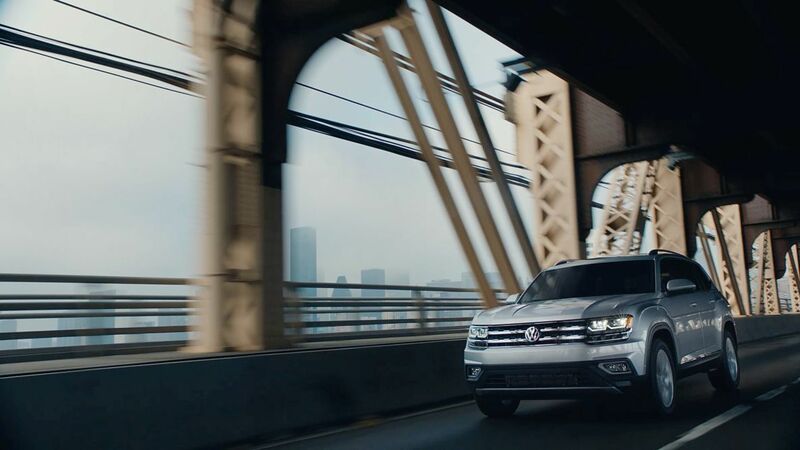 The new 2018 Volkswagen Atlas is one of the best cars on the road for providing a comfortable family driving experience. Atlas holds seven passengers in general, but it can be extended to eight with second-row captain's chairs attached. The car has plenty of legroom for passengers in its third row. The car accommodates 96.8 cubic feet of cargo space, with space under its foldable rear seats. The car comes with adequate cabin area and a total of 17 cup holders and 4 USB charging ports -- two in the front and two in the second row. Apart from all these features, the new Atlas has also been equipped with some unique safety features and driver-assist systems like an automatic post-collision braking system, which helps keep passengers out of danger. All and all, filled with extraordinary attributes, the new Atlas is simply a family car worth seeing.